Born in Scotland, he accompanied Adam Thom to Red River in 1839, entering the service of the Hudson’s Bay Company and rising to the post of chief trader. In 1845 Black married Margaret, daughter of Alexander Christie, governor of Assiniboia. From 1850 to 1852 he served as chief accountant of the Upper Red River District, but Governor Eden Colvile did not much like him. After his wife’s death in 1854 he went to Scotland and Australia, returning to Red River in 1862 to become recorder and president of the General Quarterly Court of Assiniboia. Black apparently had acquired some legal training in Scotland; his procedures in the court were Scottish rather than English. In 1862 he joined the Council of Assiniboia. He was ready to resign as recorder in 1868 after much criticism of his judicial activities, but agreed to stay on. He was still in office when the Red River Rebellion began. He kept a moderate course. He was elected English delegate from St. Andrew’s to the Convention of Forty in 1870 and was chosen as its chair. On 4-5 February he spoke at length against the immediate creation of a province and the continued use of an appointed council. 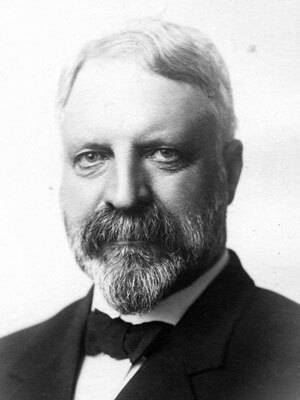 He was subsequently chosen as a delegate of the provisional government to the Canadian government to negotiate terms of entrance into Confederation. In Ottawa he was far less enthusiastic than his colleagues about a large land settlement for the Métis. He left Ottawa for the United Kingdom before the agreement with Canada had been fully implemented. He retired in Scotland with a chief trader’s pension, although he died in St. Andrew’s Parish, Manitoba. James Cowan to Archer Martin, 1 October 1890, Archives of Manitoba, MG 2 C15-1. Pioneers and Early Citizens of Manitoba, Winnipeg: Manitoba Library Association, 1971.